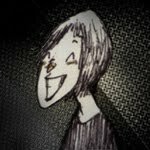 I'm an animation director/animator based in Valence (France). I graduated in the NFTS (National Film and Television School) with an MA Animation Director in 2010 with a handrawn (ink on paper) short animation film called "The Henhouse". My background in Fine Arts gave me versatility in drawing and painting and in approaching different techniques for animation and illustartion. Please feel free to go around the website and follow the links to see a bit of my work.